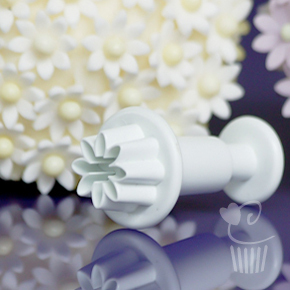 MINI Daisy Plunger Cutter - ideal for adding little flowers to cupcakes! Roll out your sugarpaste on our non stick workboard. Cut out your daisy without pressing the plunger. Press the plunger to eject the daisy. To obtain a neater finish always rub gently the daisy within your plunger cutter (before you eject the daisy) onto our flower foam pad. 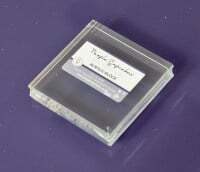 To ensure a clean finer finish, use a ball tool to soften the edges of the petals. The stylus tool set has a ball tool small enough to frill your daisy petals.